Your vacuum is about to go into overdrive. The days are longer, and the sunshine’s brighter, and that means visible dust. It means grass and dirt and crumbs you don’t normally see when you have limited hours of light in the winter. Here’s a checklist to make sure your vacuum is ready to clean when you are. Check your bag. If it’s more than 2/3 full, change it. A full bag reduces the vacuum’s ability to clean, and it’s hard on the motor. Check your belt. Belts wear, weaken and get looser over time. Even a Riccar vacuum with a lifetime belt should be checked periodically and replaced as needed. Check your filters. All of them. Like any filter, if it’s discolored and blocking light, then it’s probably blocking airflow. Change filters as needed. Tandem Air vacuums have three filters. There’s a small direct air filter that protects the motor near the nozzle. Then there’s a charcoal filter inside the vacuum bag compartment, which captures odors inside the vacuum. A HEPA media filter is outside the bag compartment. It captures particles from the exhaust air. Clean Air vacuums usually have a HEPA media or electrostatic filter plus a secondary electrostatic or foam filter. 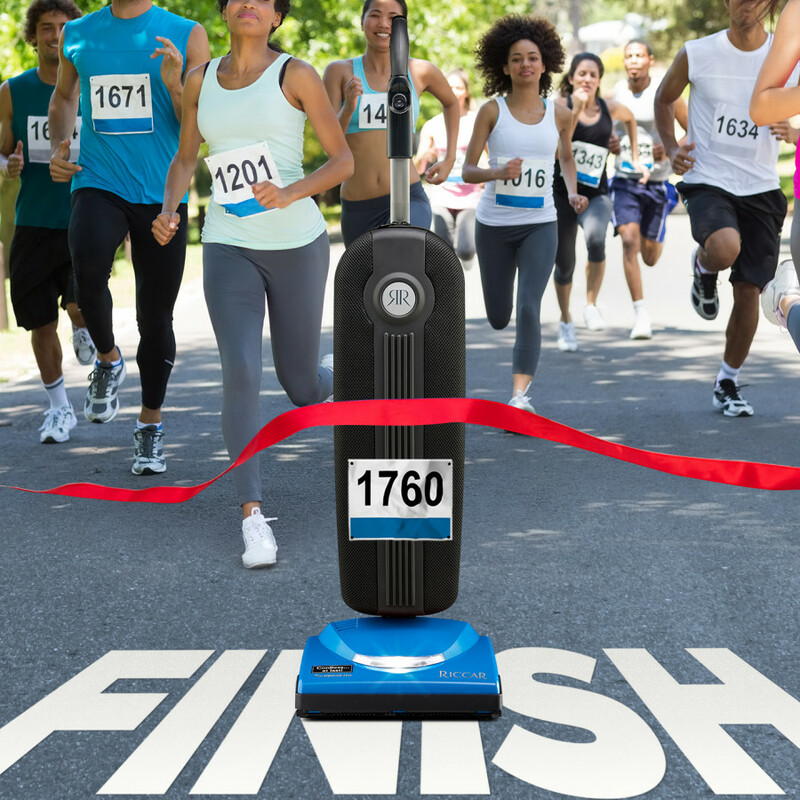 Direct Air vacuums like the SupraLite don’t have filters, so mark that “done” on your list. Accessory vacuums like broom vacuums or handheld vacuums are usually bagless but have replaceable or washable filters. Check your owner’s manual for instructions, and make sure you either replace or wash and thoroughly dry the filter before replacing. Canister vacuums have filters in the body just like uprights. Having powerful airflow is especially important when you need suction and airflow all the way to the end of your floor nozzle. Check and change the primary post and secondary filters as needed. It’s ideal to make sure window blind cords, clothes, throws and shoes are picked up ahead of time. In real life most people pick up and push aside as they’re vacuuming. We don’t judge! The beauty of a Riccar vacuum with a lifetime belt is the Hall sensor. When something unexpectedly wraps around the brushroll, like a sock under the bed or shoe laces, the sensor stops the belt from turning and breaking the belt. A jam indicator lights up, and the object can be pulled out of the vacuum. Unlike most vacuums that would require a belt change, a lifetime belt enables you to quickly and easily resume vacuuming. Tom Gasko, curator of the Vacuum Cleaner Museum, tells us vacuum cleaners remove the most dirt from carpet during the backstroke. He says, “The brushroll revolves in a forward direction, but it only sweeps the surface when going forward. The real cleaning is done on the backstroke. That’s why the vacuum will only raise the nap on the rug when coming backwards.” He recommends pulling the vacuum backwards at half the speed you push it forward. For more cleaning tips, visit our Clean Advice page.